Rafael Anton Irisarri releases a monolithic exploration of hominin calamity. Ambient music falls under a distinct spectrum of effect. Some artists evoke alternate mental spaces, others provide a space for listeners to reconcile themselves to the present world, and many accomplish a bit of both. New York’s post-minimalist composer Rafael Anton Irisarri has traversed several ends of this spectrum, but his latest effort comes as an austere acknowledgement of the human experience in all of its dismal magnitude. 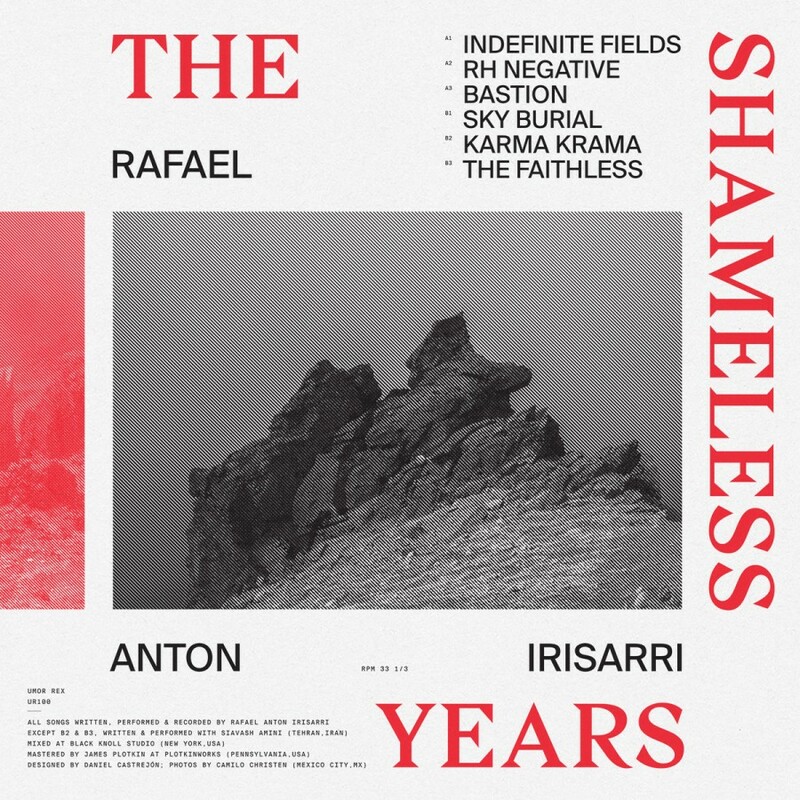 The Shameless Years stands as one of Irisarri’s most honest and passionate releases to date. It’s hard to avoid falling into despair when looking at the world’s current state of affairs, but Irisarri has no intention of denying any unhappy realities. Through gargantuan dream symphonies, The Shameless Years imparts a coming-to-terms story over-arched by lamentations about mankind’s regression into an audacious era. These six tracks remain shrouded in murky soundscapes, non-linear structures and dynamic plateaus. However, “Indefinite Fields” is immediately the modulative might of The Shameless Years. Spellbinding refrains navigate through a maze of oceanic white noise, gently pushing along synthetic hypnotism and seismic chord changes. The following “RH Negative” further front-loads the album’s melodic qualities, capturing the desolation left in the wake of intolerant outlooks. Irisarri stacks layer upon layer of rumbling sub-bass and distorted guitar strains on a cinematic lead as clanking percussion pushes it to an overwhelming climax of melancholic splendour. Though the meat of The Shameless Years revels in nebulous gloom, Irisarri still wears his heart on his sleeve as he grapples with his finality. “Bastion” heralds the album’s descent into droning immensity, simultaneously pulverizing and assuaging the senses with its blend of refined arrangement and aural oblivion. Irisarri’s vast orchestrations partly spring from the recognition that he has now outlived his father at only 40 years of age, the resulting textural cushion allows listeners to ride a transcendent crescendo towards profound acceptance of their limitations within a chaotic universe. “Sky Burial” returns to melody as quasi-choral inflections soar above suffusive meanderings, but Irisarri stays true to form by never fully locking into a form. His amorphous notation gives a cosmic perspective on existential turmoil. 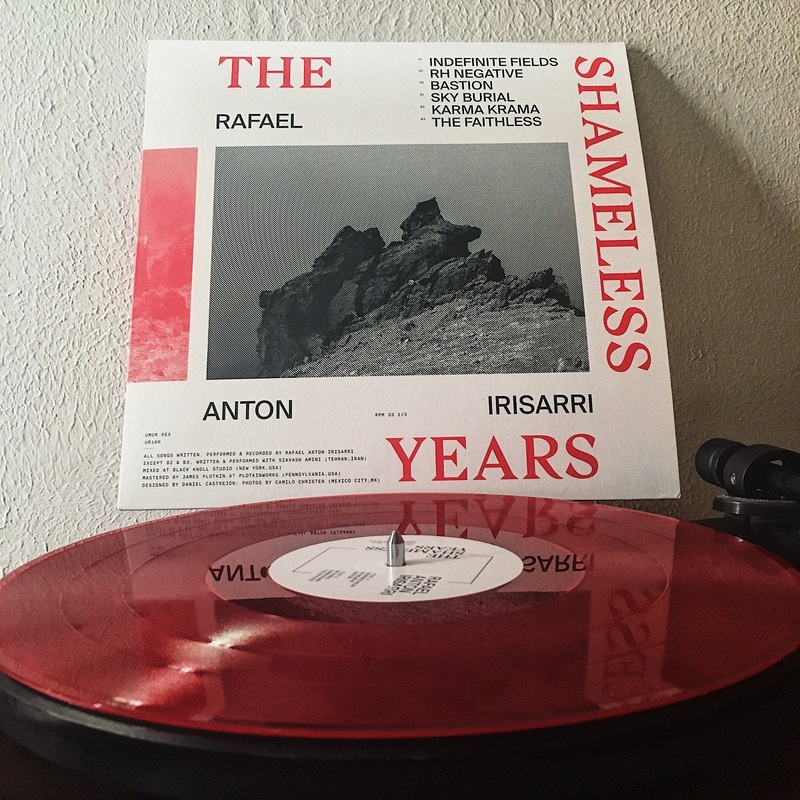 The Shameless Years arguably reaches its most impactful territory with two collaborative pieces with Iranian ambient storyteller Siavash Amini. Though contrasted in their approaches, these songs raise an overpass linking two countries separated by violence, war and fear. Amani and Isarri are united by their middle-eastern heritage, yet the path between Iran and New York has become marred by horrific adversity. Their tandem effort shines a light of dismay and empathy into a wounded world — embodying the groans of the afflicted and the ache of those who would intercede. “Karma Krama” juxtaposes angelic swells over cavernous feedback walls and abrasive static undertones, spotlighting the plight of the disenfranchised and the negligence of the privileged like a train-wreck happening in slow motion. Every layer forms a more detailed portrait of the struggle to preserve innocence, and its culmination signals the full realization of pandemic sorrow in a time where nothing is sacred and life is cheap. Massive upsurges acquire a softer touch during the final and longest track. A fragile melody ushers “The Faithless” in, and out of its 13 minutes, offers the most vulnerable cut on the record. Distant noise-scapes and eerie bass gradually give this moving line buoyancy within its subterranean atmosphere. The song surfaces from the depths with deliberate grace via inconspicuously added drones, suspending itself over a foundation of shimmering arpeggiations and murmuring sound collages. After the final percussive clicks echo out, listeners are left to ponder their sonic journey. The Shameless Years feels endless until it’s over, mirroring the harrowing dichotomy between alarming rapidity and agonizing sluggishness that defines the human experience. Glorious arrival points last forever until they fade in the same way the slowburn of reticent ruminations seems indefinite until unforeseen escalation whisks it away… and it all ends before one has time to truly comprehend what they just experienced.